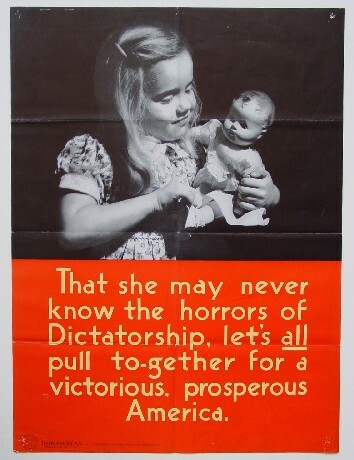 Comments: Think America Institute World War Two poster pictures a young girl with her doll and implores the viewer to "pull together for a victorious, prosperous America" so that our children will "never know the horrors of Dictatorship." Condition: Good. Unbacked, folds, tack marks in corners, otherwise clean and bright.